In the video overview above, International Fund for Animal Welfare (IFAW) Director for France and Francophone Africa, Céline Sissler-Bienvenu, speaks with Agence France-Presse (AFP), about the team effort to move a group of African forest elephants out of conflict with local villages in Cote d'Ivoire. 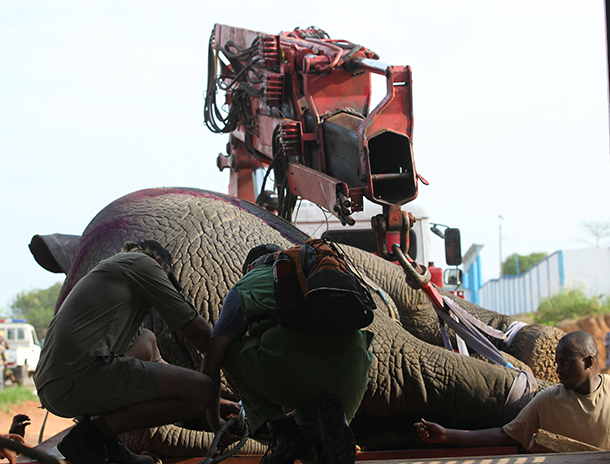 In the Storify embed below, we've gathered a round up of international press articles covering a massive logistical effort by IFAW teams to track, find, tranquilise, move and release a group of African forest elephants into Azagny National Park in Cote d'Ivoire. Having trouble viewing the Storify? Try the story page linked here.